20th Century Fox is continuing the promotional train for The Predator with some new material. We have a TV spot from a few days ago that teases some more of the team dynamic and the Ultimate Predator. Next we have a behind-the-scenes featurette that was actually shown during the panel in Hall H where various cast members pit the Predator against other real life and fictional characters. 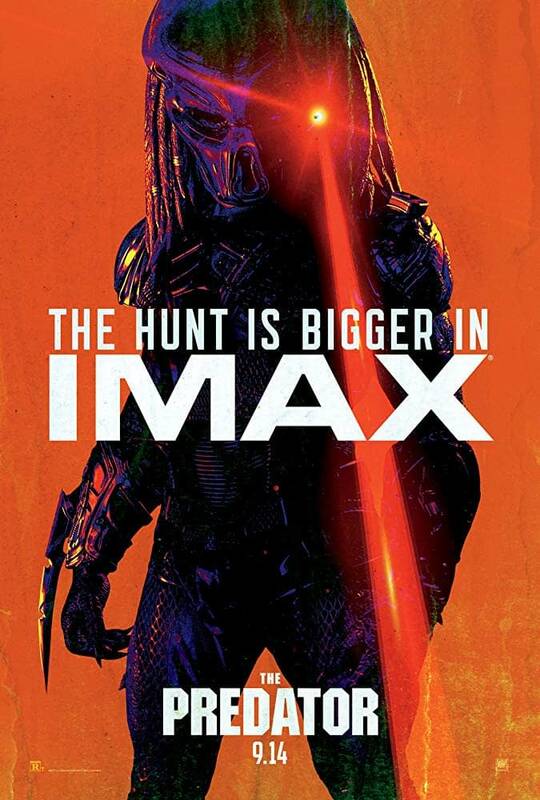 Finally, we have a new poster for the IMAX version of the movie. This production could be important in that it’s a R-rated science fiction movie, which is something Fox’s new owners Disney might not want to make a lot of. They could point to this one and use it as an excuse to say that no one wants these movies regardless of the quality.